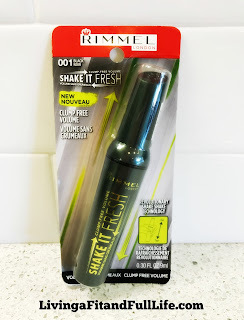 Living a Fit and Full Life: Get the Eye's You Desire with Rimmel London's New Shake it Fresh Mascara! 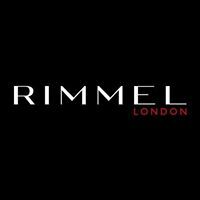 Get the Eye's You Desire with Rimmel London's New Shake it Fresh Mascara! Shake it to refresh it, only when needed. First-to-market Shaker system inside the mascara refreshes the formula when needed to help prevent it from drying out. Ultra-smooth, clump-free volume from first to last use. The Volume Defining brush gives you a beautiful fan of lashes with maximum separation from corner to corner. 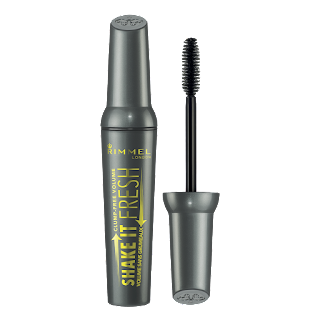 Get the eye's you desire with Rimmel London's new Shake it Fresh Mascara! Finally a mascara that stays fresh and doesn't dry out. Rimmel London's new Shake it Fresh Mascara is phenomenal! I absolutely love how smooth it goes on each and every time I apply it. It's clump free and is the perfect mascara for building up your lashes because it gives you a beautiful fan of lashes with maximum separation from corner to corner without clumping. I already have naturally long lashes but when I wear Rimmel London's new Shake it Fresh Mascara people think I'm wearing fake lashes because it looks so good. I love that it still keeps my lashes looking natural but yet gives incredible length and volume without clumping. Rimmel London's new Shake it Fresh Mascara is my new must have mascara and I highly recommend it!